Dynamic Series provides pool and spa filtration products to suit your water purification needs. Dynamic Series provides pool and spa filtration products to suit your water purification needs. Filters and filtration systems help to clean sediments like dirt and sand from your pool water and flushing system. 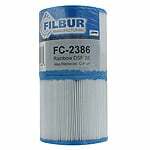 Filters Fast carries a variety of different pool related products, including a large amount of pool filters, on our website.